Much like last year, RunSignUp has had another great year. The goal of our company is to provide web services to the running and endurance community. We feel our value is our ability to focus on technology that can be easily adopted by customers to benefit their communities. The reason we can say it was a great year is because of the many customers who took advantage of our technology to benefit their communities. It is so motivational to see the massive adoption of our hard work and the appreciation of what we do by our customers. On the numbers side, we had 80,000 people sign up for races in 2012. That number grew to 400,000 last year and this year it has grown to 1.1 Million! 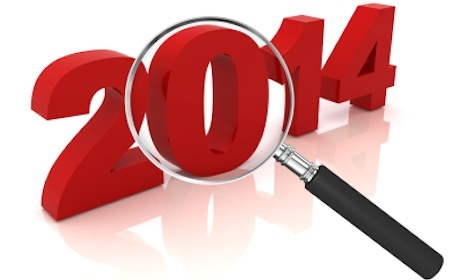 There are lots of reasons for this growth, and I want to highlight some of them in this year end review. The top reason why someone decides to use RunSignUp is because of a recommendation from a friend or associate. Johanna Goode joined us this year to help propel this. Our history is obviously technical and we have always presented our company in terms of features. Johanna’s goal is to help us to shift this from us talking about features to our customers talking about how they use our features to improve their races, stores, clubs and timing businesses. We held our first Race Director and Timer Symposium in July of 2014. Johanna worked with Andrew Sigwart to capture that conference in a collection of videos that serve as a continuing resource to others. We also began capturing Case Studies where races, timers, clubs and running stores share their secrets of success. We hope to collect more of these and soon make the case studies and videos searchable. So that if you want to find how others do bib pickup, or pricing, or email promotion, or race organizing, you will be able to search whatever term you want and find several examples of real people doing real things! We have always had a big focus on providing solutions to timers, since they are such a critical part of holding the endurance community together. This year timers really started using our Results, Video Results and Notifications in large numbers (over 31,000 notifications went out on Thanksgiving Day for example). We have a number of partners using our technology as part of their solutions – Agee Timing and RunScore. And we have a big announcement scheduled for January 5 with The Race Director to help further the state of the art in Scoring and Results. 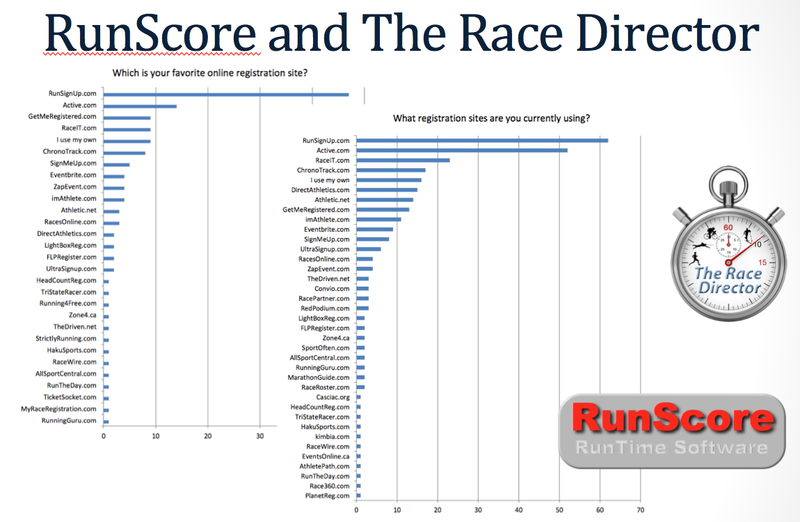 Timers seem to be noticing based on the survey done by RunScore and Race Director naming RunSignUp the Most Used and the Favorite! We have worked hard in this area, and are very proud of the support the community has shown. The heart of what we offer is technology. When we started, we felt there was a lack of real focus and commitment to a great technology platform and the concept of continuous improvement. We have made huge investments led by the ultra-talented Stephen Sigwart in our technology platform. The most impressive part of the platform is the stuff no one ever sees. Sure, we put out 1,847 new releases of our service this year and we had detailed it in over 200 blog posts during the year and we had major releases of Mobile, Results (3.0! ), Video Results, Kiosks, Donations & Fundraising, a Facebook App, USA Triathlon integration, a whole new Race Director Dashboard, and many more. But the impressive part is what is under the skin. We moved to Amazon several years ago and it gives us an underlying Cloud structure that allows us to be extremely agile in how we create new services and expand our capacity. It removes many administrative costs of the old days, and gives us unmatched scalability, security and availability. Just running on Amazon does not make this magical – it has taken a lot of work to design and build this system and continuously improve. In addition, we have a development and deployment methodology that allows us to make changes to the service without any interruption of service. We upgrade the site between clicks of users without anyone noticing – and we did it 1,847 times this year! There are very few companies that have made this type of investment in the whole computing industry, and it pays huge dividends by allowing us to continue moving forward fast in implementing the types of features that customers actually see. The goal of our technology is to have a single version serving all customers, and have it designed such that customers never have to talk with us. Everything should be self-service. Of course that goal is unachievable (we do have a single version running and we never do a “One of” for a customer – each feature we build is available to everyone). We have made significant investments this year to stay ahead of our customer growth to make sure all of our customers are happy and supported well. These investments include making advances in the product, our extensive investment in HowTo Videos, and of course hiring the right people to help our customers. We track our volume of support requests per 1,000 registrations, and have seen a steady decline over the year as we continue to improve our service and self help capabilities. We have been lucky to have a number of people join us this year like Johanna Goode, Lauren Bergren, Natalie Young, Frank Brown, and Brian Graham. Also one of our summer development interns will be joining us full time when he graduates from Penn State this summer, Ryan Snell. They all have a passion for helping customers and making a difference in our industry. More of the same! We figure if people like what you are doing, keep doing it – only better. We have high ambitions to really make a difference in our industry. We want to develop technology that helps to make things better for the running and endurance community – runners, race directors, timers, clubs, and running stores. As we become larger, it gives us the ability to do even more ambitious things. In our first few years we were kind of playing catch-up with others. I feel like we have reached at least parity and in many cases superiority in terms of functionality and service to alternatives. We are not content to stop there. Upgrade our back end Payment Processing. We are hopeful to bring tangible benefits to customers with this change, as well as meet the requirements of a large payment processor. New Partner Dashboard for customers with many races. New Runner User Interface. Yes, race pages will get a massive uplift. Significant Race Day Registration and Check In Improvements. Cloud and Mobile based Scoring and Results. Continuous small improvements driven by customer demand. We get so excited about what we can do together with our customers. Thank you so much for your support with your ideas, sharing your successes and of course your business which keeps the engine running!